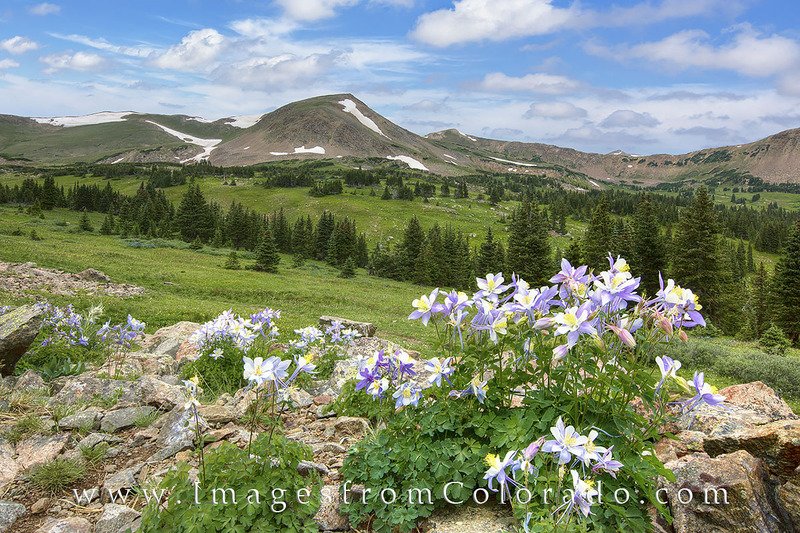 Columbine, Colorado’s state wildflower, grows in the rocks along the Butler Gulch trail. This area produces amazing displays of wildflowers each year and makes for nice morning stroll. Photo © copyright by Rob Greebon.